I finished my hike from Mexico to Canada along the Pacific Crest Trail a month and some change ago. Completing the journey brought up the same feelings as finishing my first novel. Confusion. Loss. Disappointment. Yearning. Yes, I learned that yearning can be a feeling. I was lucky enough to have a party with friends at the northern terminus, at the end of the hike. Celebration was in order, for sure. But the excitement dwindled as the people stepped away, one by one, out of the lives we had each built for ourselves over the last six months, the lives we had put years of planning into. Accomplishing something great is enjoyed in the moment and in the memory of it. Finishing it is not so much fun. The journey had ended. The wandering had begun. The city was overwhelming with its noise and congestion. Home was just as bad with all of the bills and responsibilities and societal expectations dumped on top of you like a heaping pile of wet laundry. Congratulations were more uncomfortable than appreciated. People don’t know what to say because they don’t understand. They’re happy that you finished your thing, but they don’t get that you’re sad because your thing is over. It was your thing. Now what do you have? You have to start again. Start new projects. Work on a thing. Accomplish a new thing. Being done is the worst part of the journey. People don’t like it when you’re not working on a thing. You don’t like it when you’re not working on a thing. Working to improve yourself, working on a career, working to help others, working to make a new thing. When a journey is done, you don’t know what to do. When a journey is done, you need to start something new. I’ll remind you of a previous post from January 2015…. Don’t forget how far you have come, how much you have grown, the accomplishment of completing it and the “humble and grateful” attitude you were going keep. Thanks Theresa. We are still working on a few more posts on some detailed information about our hike. In one of those we’ll link to some other great continuing blogs of people we met on our journey. We’ll pick up on here once we start another grand adventure! Thanks so much for the kind offers. We’re in a good mindset now. This post was more of a reflection of a month ago. The initial completion was the hardest part, and I know many other thru-hikers out there have suffered worse post trail depression than we have. Glad to have met you and appreciate you reading our blog! More adventures wait ahead for all of us. RT- I totally know how you feel. When I got back from Iraq I had the same feelings. It took a while to adjust. I wanted to go back. Then I got pregnant and that was an excellent new project to focus on. Maybe that would help you too (hint hint)? Thanks Marg. What does that last sentence say? It’s oddly blurred out on my end. Weird. When the grand hike is over something else automatically begins , another moment. Thanks for the news. I was so happy to see your post today…I have been following your and Jill’s hike since the beginning and looked forward to each new post. I don’t know what lies ahead but please keep writing and posting..you never know what is around the next corner. To continue following Jill and RT, head on over to RT's main website at www.arthurmcmahon.com. Adventure awaits! Buy now for Kindle or in print. 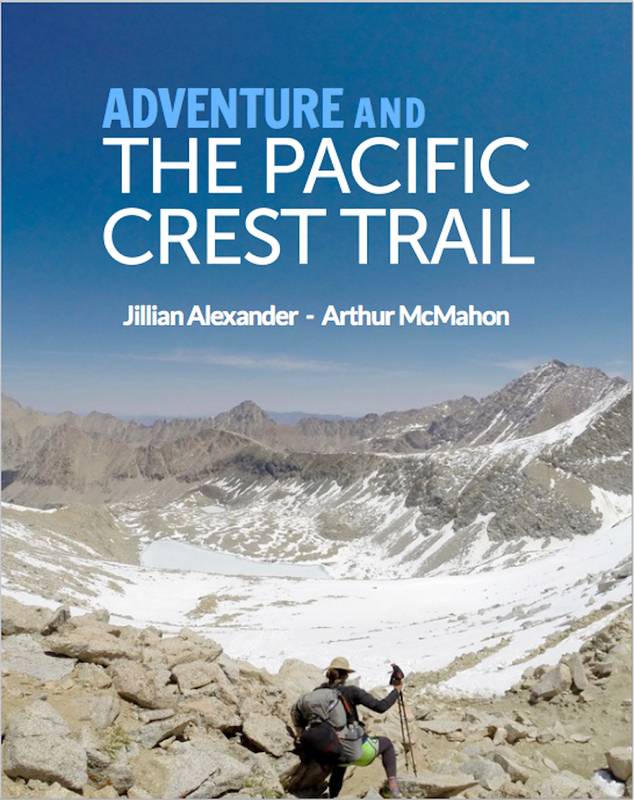 Read through our PCT journey with this beautiful book featuring refined journal entries and beautiful HD photos. We’re playing Jill’s favorite new board game Wingspan! Fun game all about birds (of course! ).⁣ ⁣⁣ ⁣Resource management is key. It’s like Magic + Catan + Birds. Fun stuff. You can play cooperatively or competitively, which is nice. Takes up a ridiculous amount of table space though— our dining table becomes immediately overwhelmed in just a 2-player match.⁣ ⁣⁣ ⁣I can’t wait to play some more and ACTIVATE ALL OF THE UNSTOPPABLE BIRD POWERS!!! Who’s in? Took a quick drive into the Cascades over the weekend. Didn’t realize that so much damage remained from the snowstorm we saw a few weeks ago.⁣⁣⁣ ⁣⁣⁣⁣⁣⁣ ⁣⁣⁣Tree limbs were down everywhere. Fall creek road is now open (hurray! It’s been closed since 2017 because of fire) but we were only able to drive a few miles down before fallen trees blocked the route.⁣⁣⁣ ⁣⁣⁣⁣⁣⁣ ⁣⁣⁣Hopefully it gets cleaned up soon. I appreciate the FS, BLM, and Park employees who do the work, as well as the volunteers. Thank you!⁣⁣⁣ ⁣⁣⁣⁣⁣⁣ ⁣⁣⁣Also: I’ve been testing out some new @marmot rain pants for @backpackerscom — Review soon! Scaling Mt. Pisgah outside of Eugene a couple of weeks ago when a foot of snow covered the landscape. . The snow was even deeper near the top, so much so that Jill and I had to take turns carrying our dog Huckleberry the last few hundred feet. Holding a 55lb dog while postholing is not recommended. . We took the back way round where we had to break trail for the majority of it. Going down the main route that was well-trampled was much easier. . Goodbye winter ❄️ and hello spring 🌸 I’m excited for sunny weather and dry trails! Huckleberry 🎶 you’re the one 🎵 you make photos so much fun! . Tiny dog bed. Dog ears roasting near an open fire. Goober. What’s your favorite overnight backpack trip during March in Oregon? I would like some fresh ideas! . This was another great snow day up near Willamette Pass. First photo is on the PCT above Odell Lake. I remember this point from my thru-hike, but there wasn’t a lick of snow then! The colors of winter. . Finally got out to do some snow exploration. This was a day trip to Alsea Falls that turned out to be much snowier than we expected. . There’s over 12 miles of trails to explore here. We wound up walking on a logging road for awhile as we lost the trail at some point, but from the road we spotted a big waterfall hidden in the woods that no trail appeared to reach. Fun day! . Have you ever found anything remarkable after wandering off trail?